One for grandma and one for mom. Or keep them both for yourself. 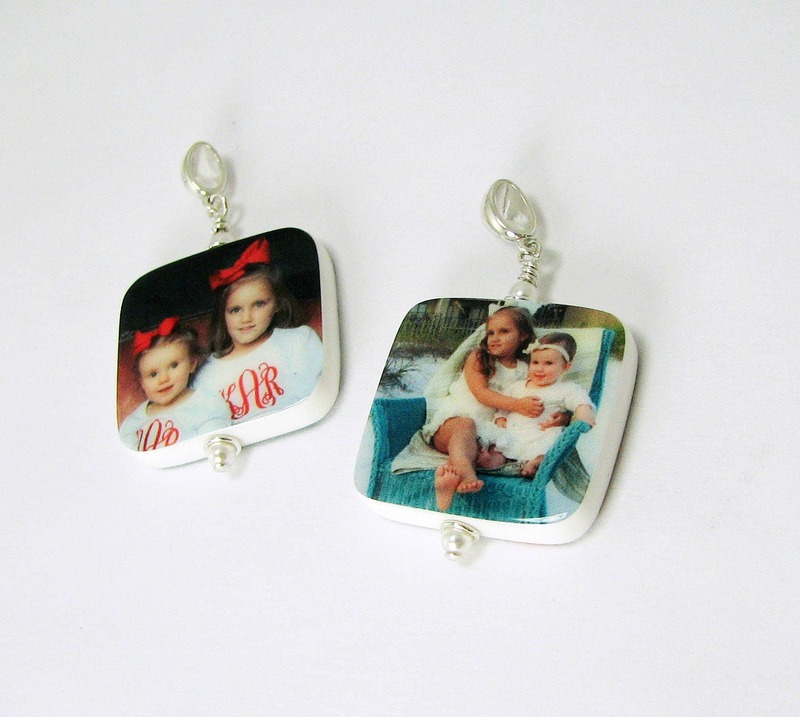 These gorgeous photo pendants measure 1" across, and have the addition of rounded corners. 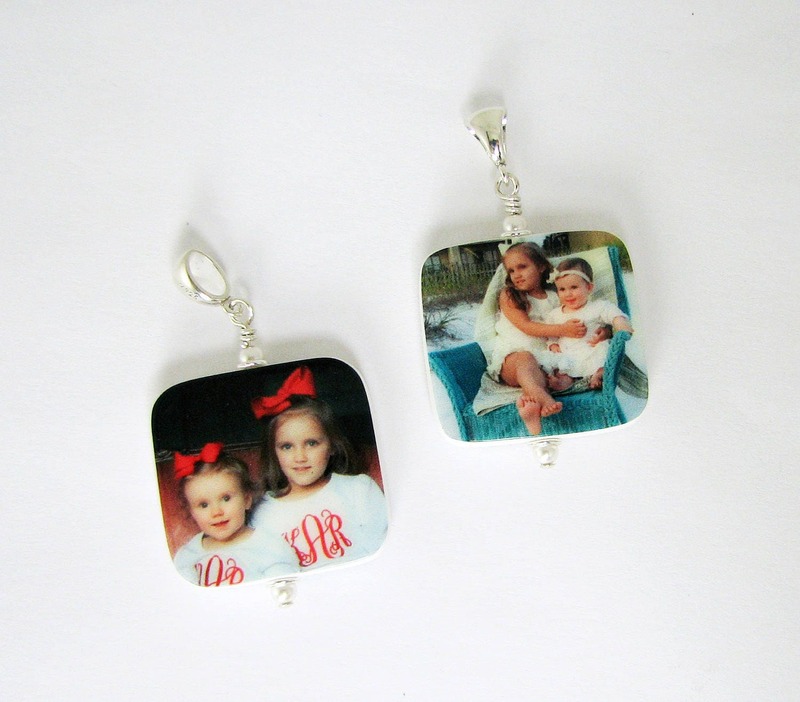 You can use up to 4 images, or request a custom text image if you like. They come on sterling silver bails that have an opening large enough to accommodate most chains. 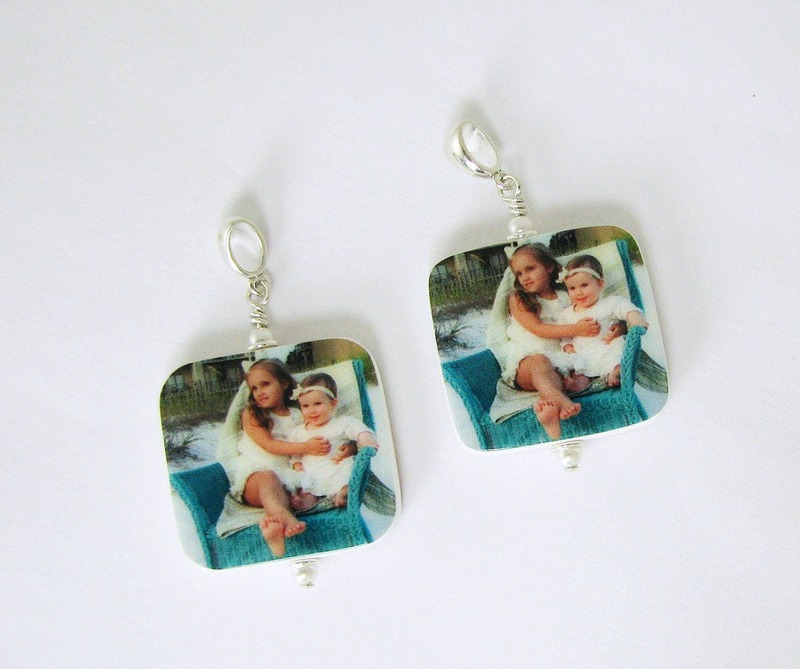 Your images can be color, sepia, or black and white by request. 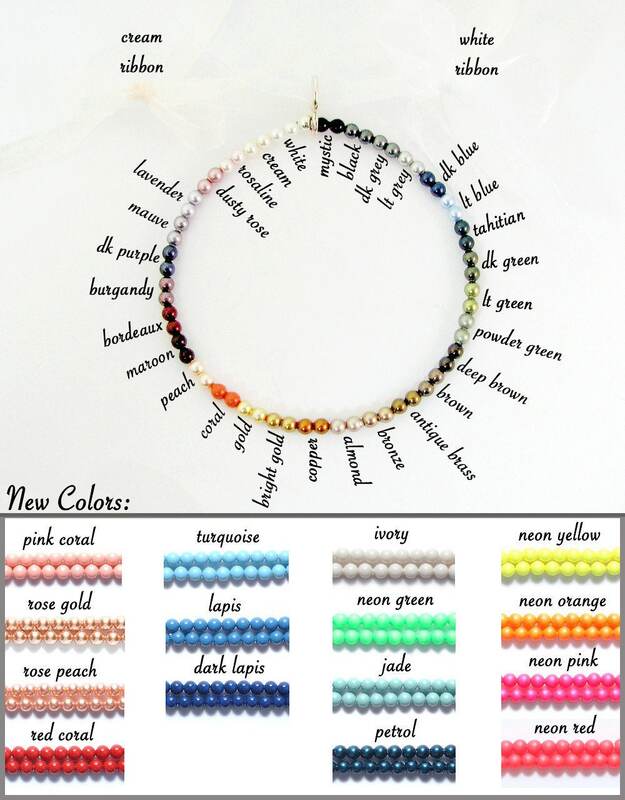 You can choose Swarovski crystal pearls from the chart above to match your images in place of the sterling beads shown. Just send your color preference with your images. 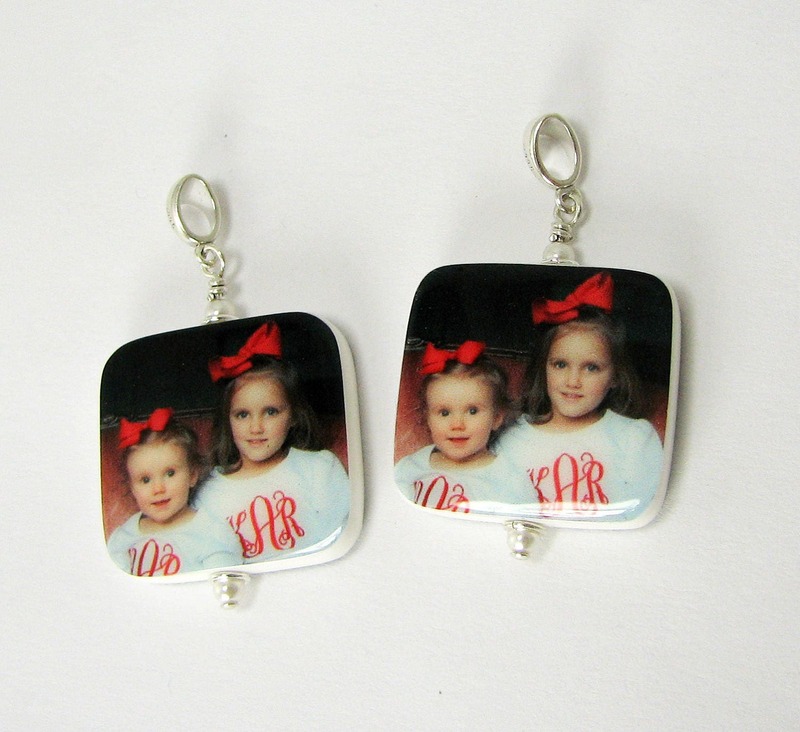 *This listing is for two photo pendants. Send a request to DJD [!at] Q.com for a quote with a quantity discount. No order is too large.